After the 1st book, David was asked to give a seminar on plowing for an area tractor club. He was determined to help spread the word that plowing was in! Now David exhibits and speaks at many events. 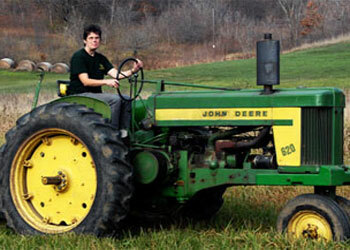 David has published 3 books on Plows, Plowing, and John Deere Moldboard Tractors, one is even in its 2nd edition. Dennis has created a video on plowing setup. Beda Company is more than just a book company. 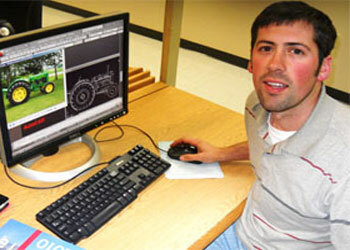 In 2008, Dennis created the plow handle trigger box. A much-needed part for plows. We offer other handle parts too for John Deere plows for sale. David is the company’s author, researcher & speaker. He is an active member for Old Time Farm Fest. David presents on plowing and other topics at seminars all over the country. 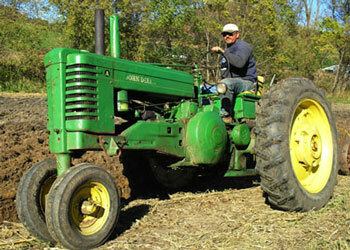 He also enjoys tractor pulling, collecting tractors and plows, and talking about farming. Betty is a retired RN and health educator from the local hospital in Arcadia. She is an active volunteer at the area nursing home, and continues to be co-chairman for our parish festival. Betty is the company’s typist and secretary. She is also the voice on the phone when placing an order! Dennis is the third child in the family. He graduated with a degree in Tool & Die Making, and a degree in Civil Engineering. Dennis is responsible for the re-manufactured plow handle hinge clips and other parts. He also is the author of the Plowing video.